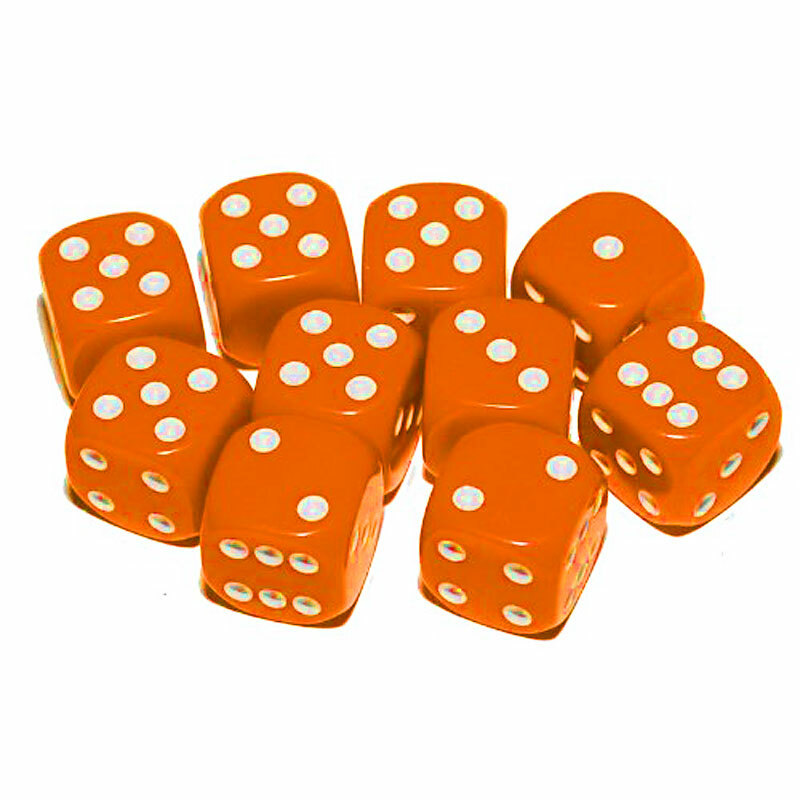 Standard 16mm Six Sided Spot Dice (called d6 dice, sometimes called d6 spot or d6 pip dice) are in this section. 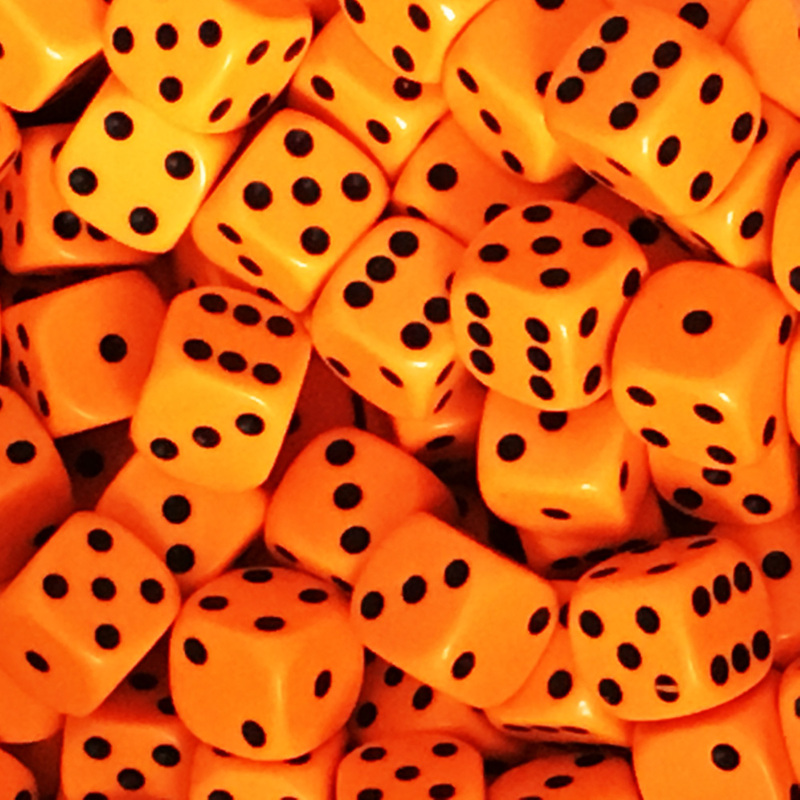 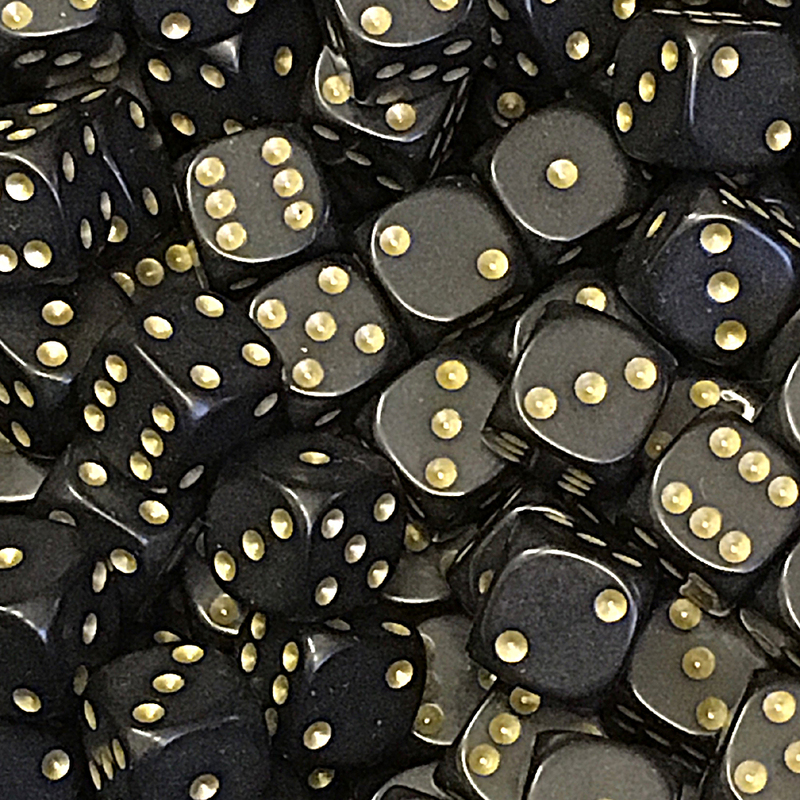 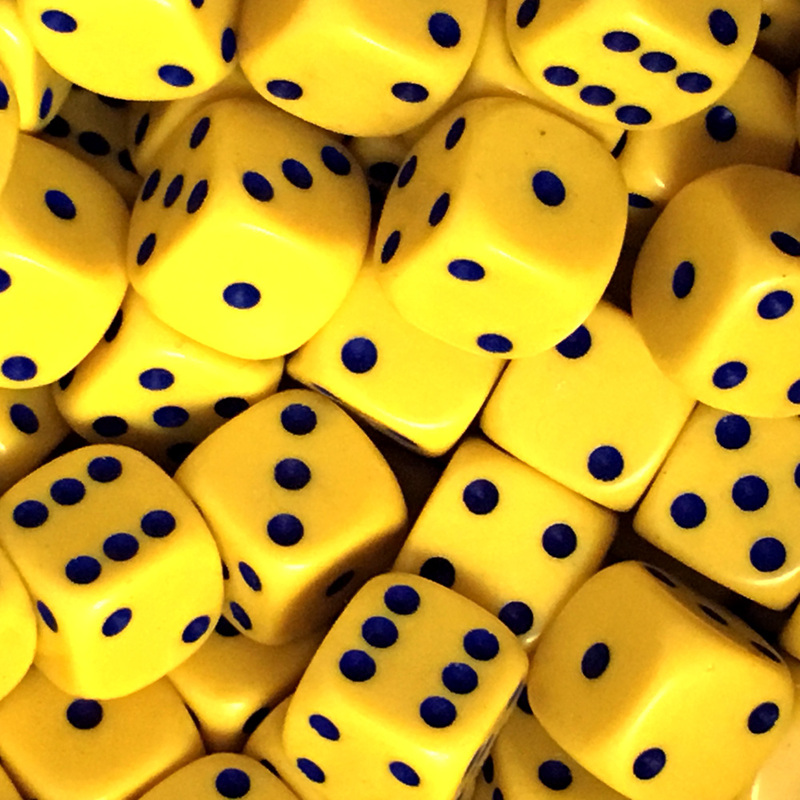 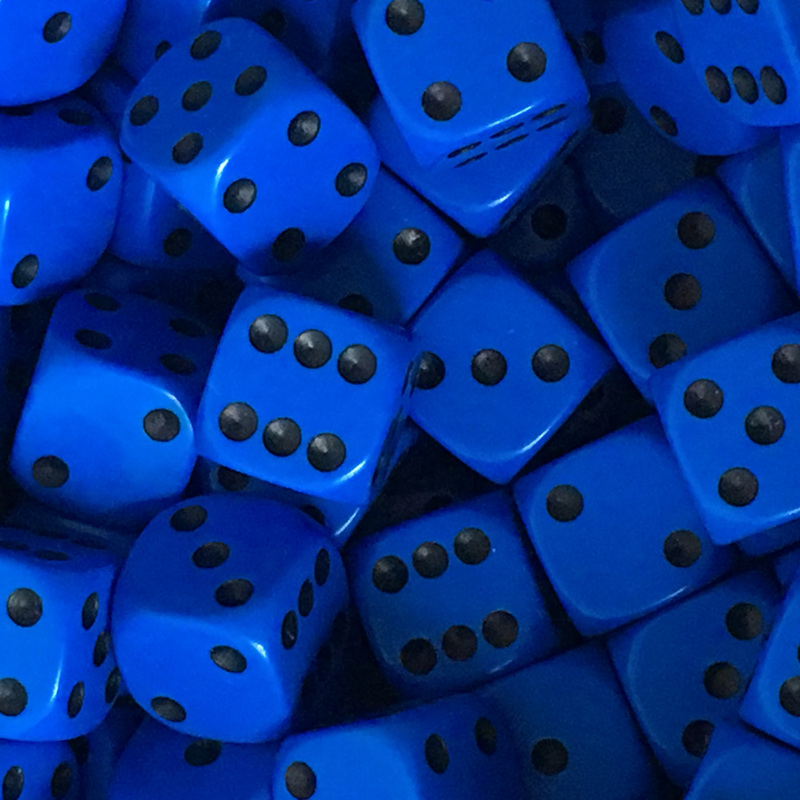 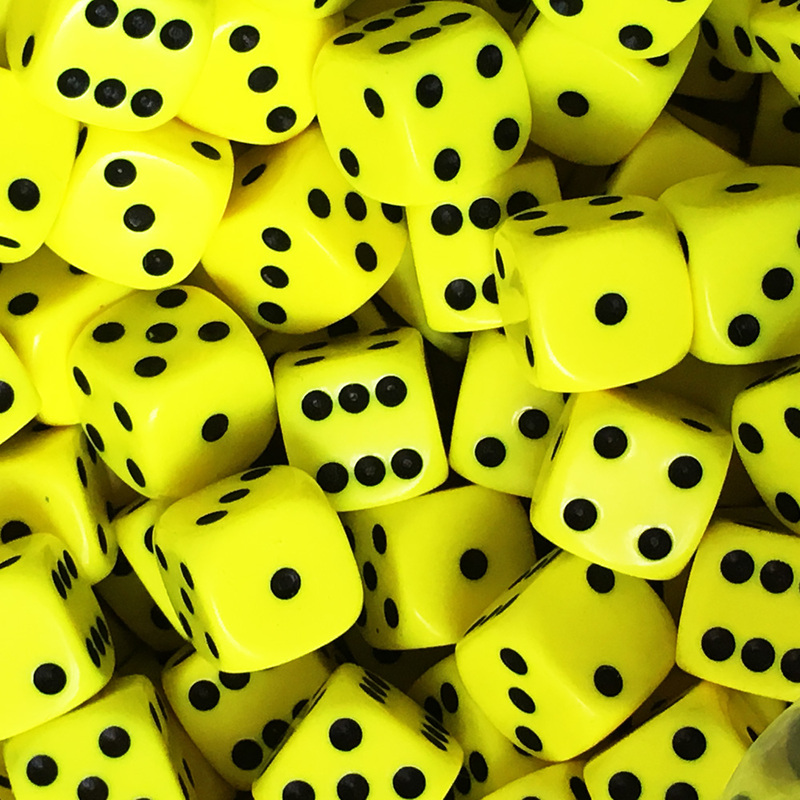 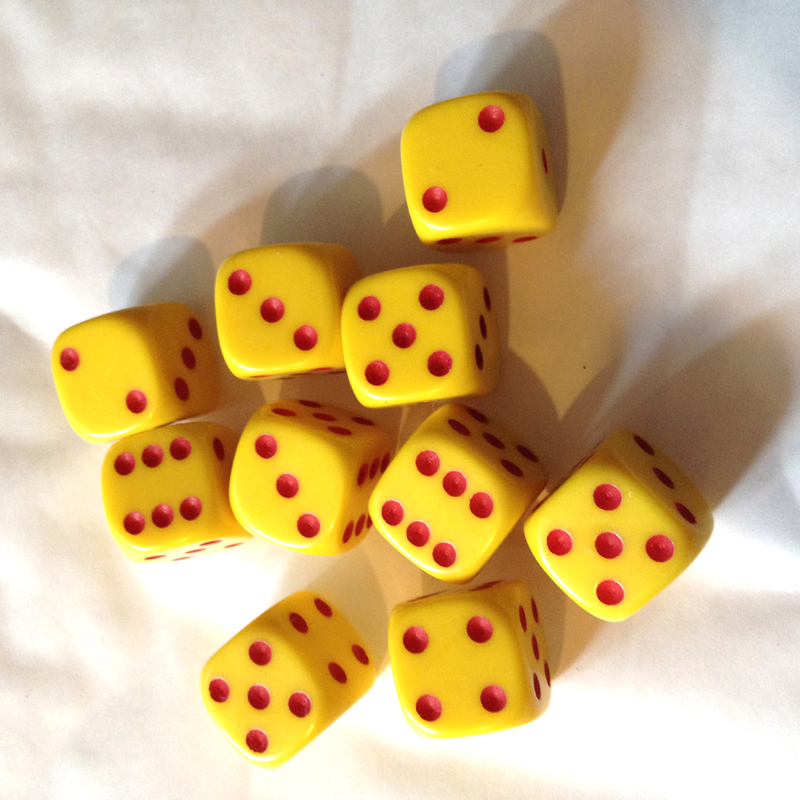 We sell spot dice in packs of 10 for easy buying. 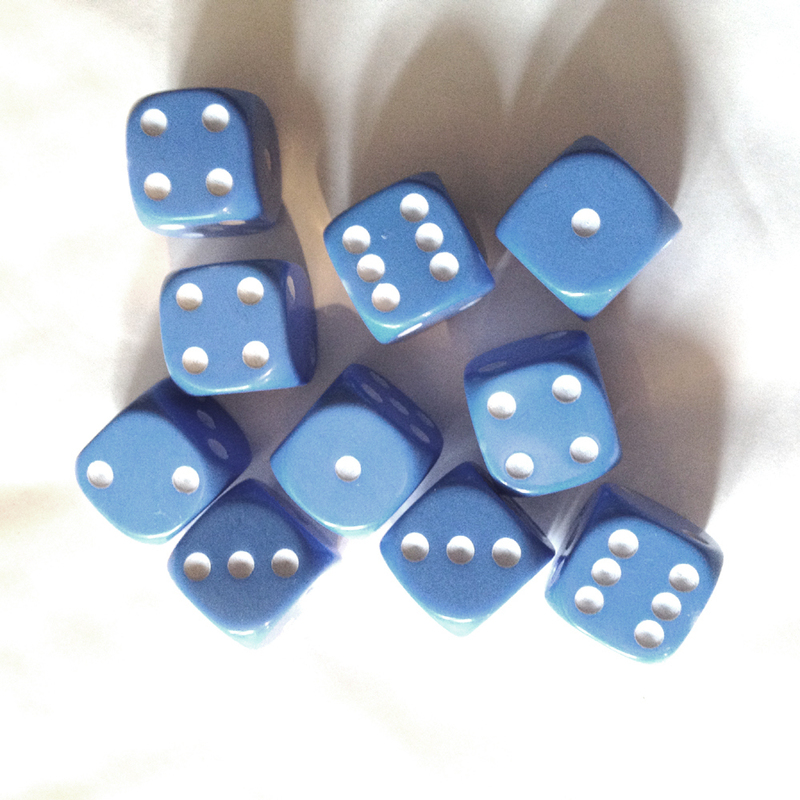 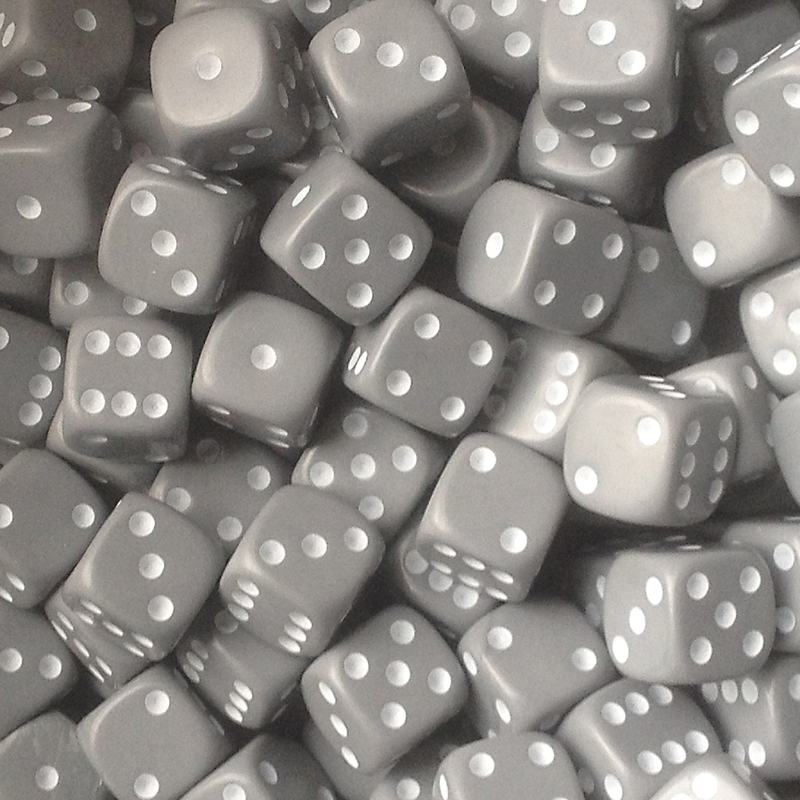 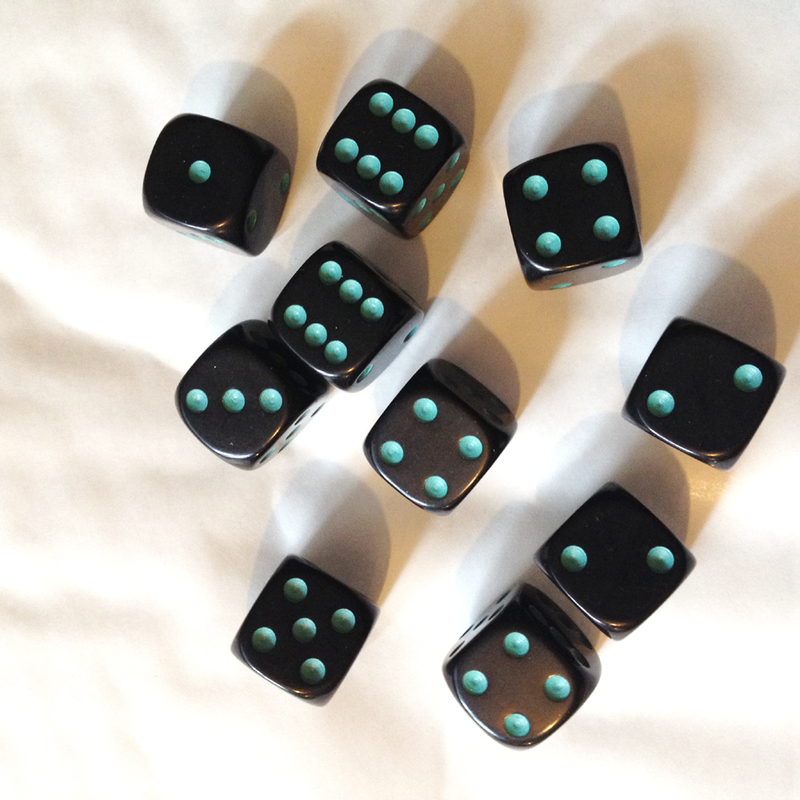 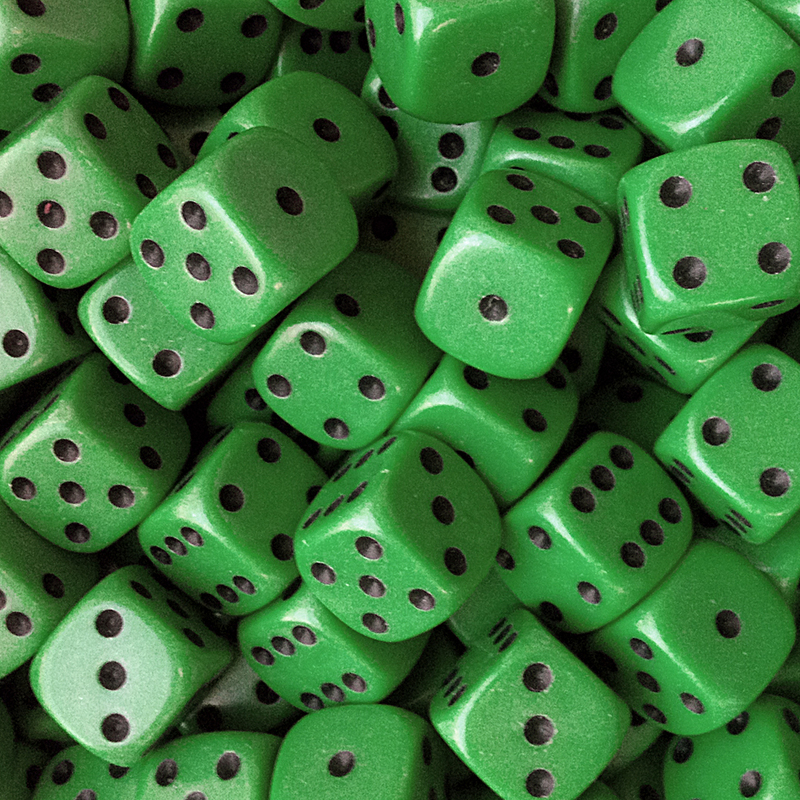 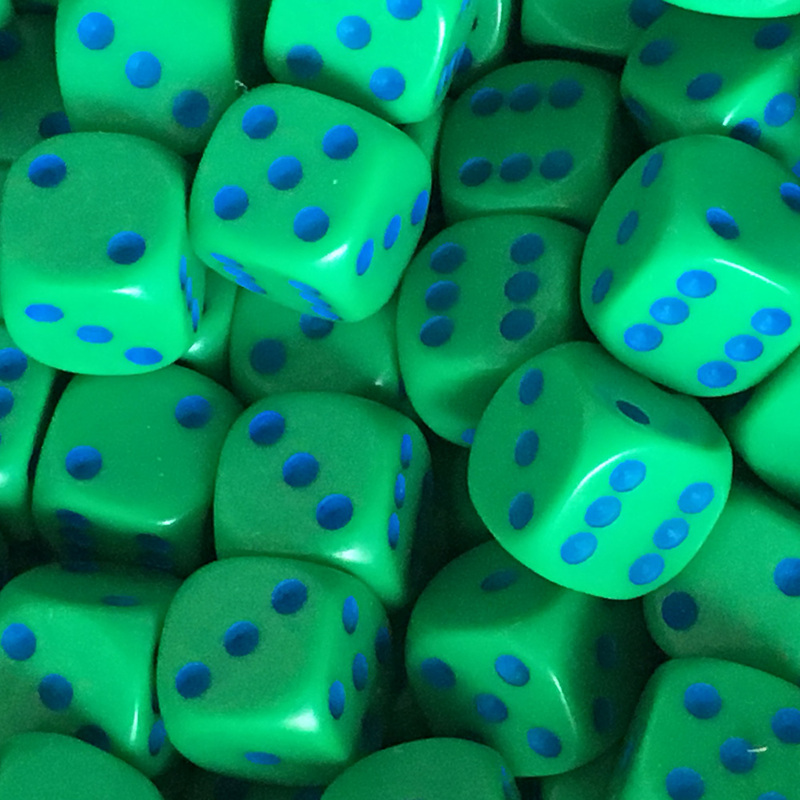 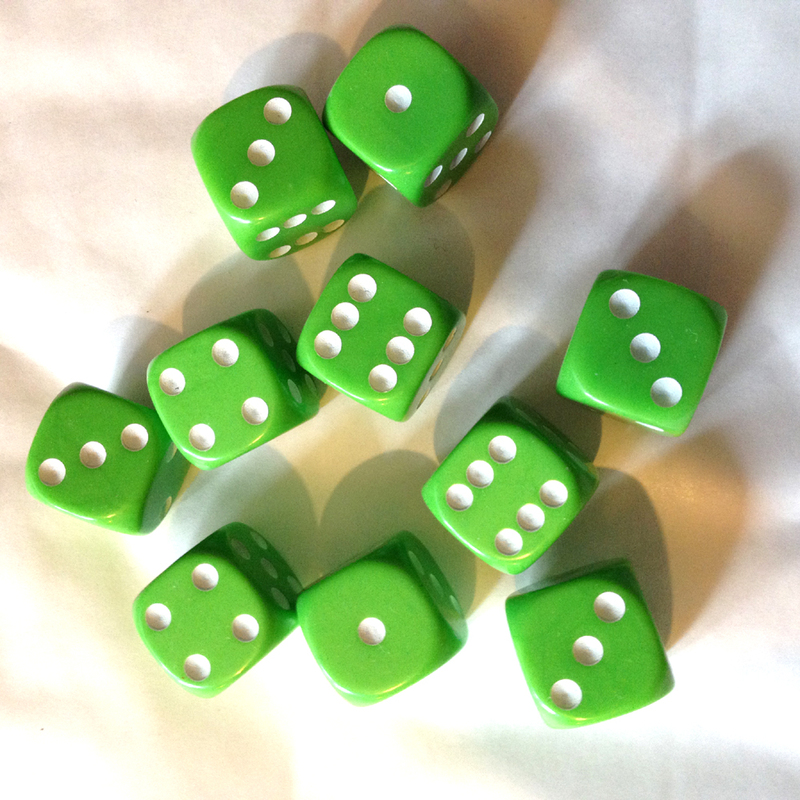 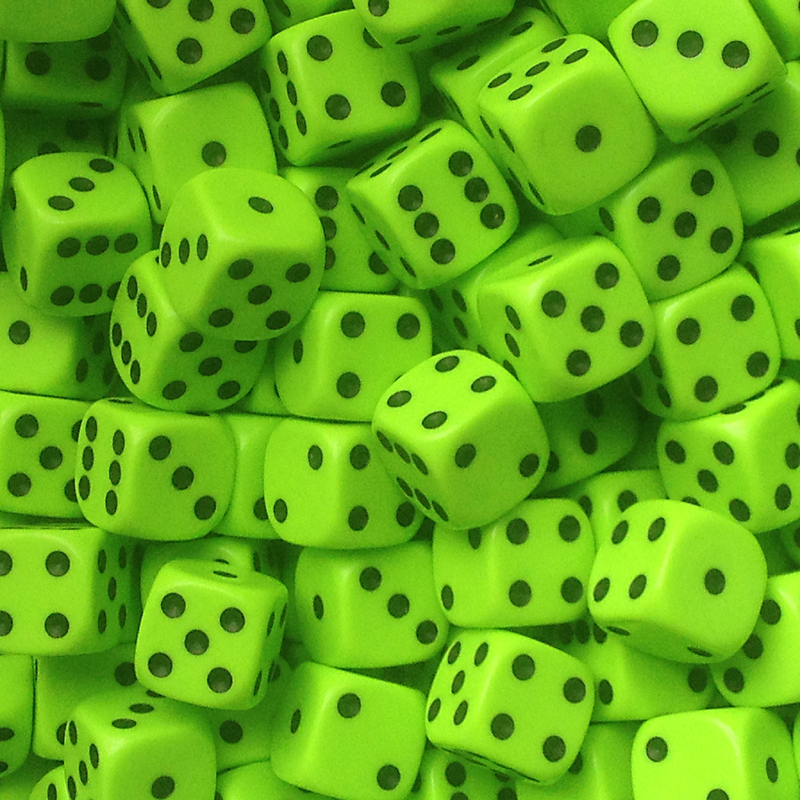 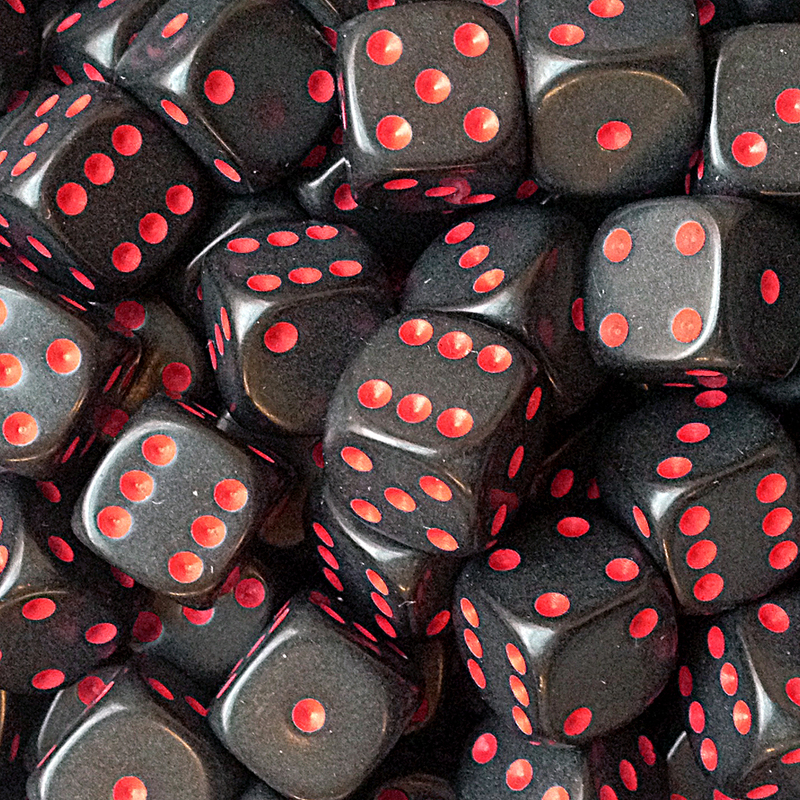 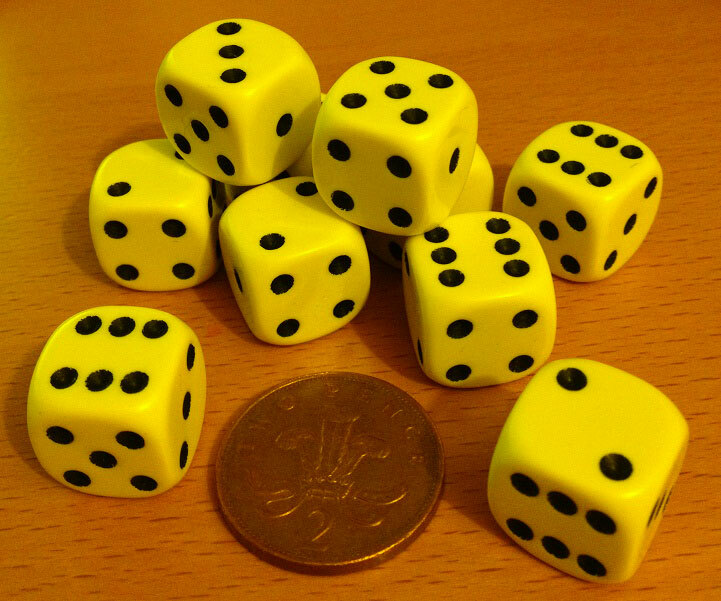 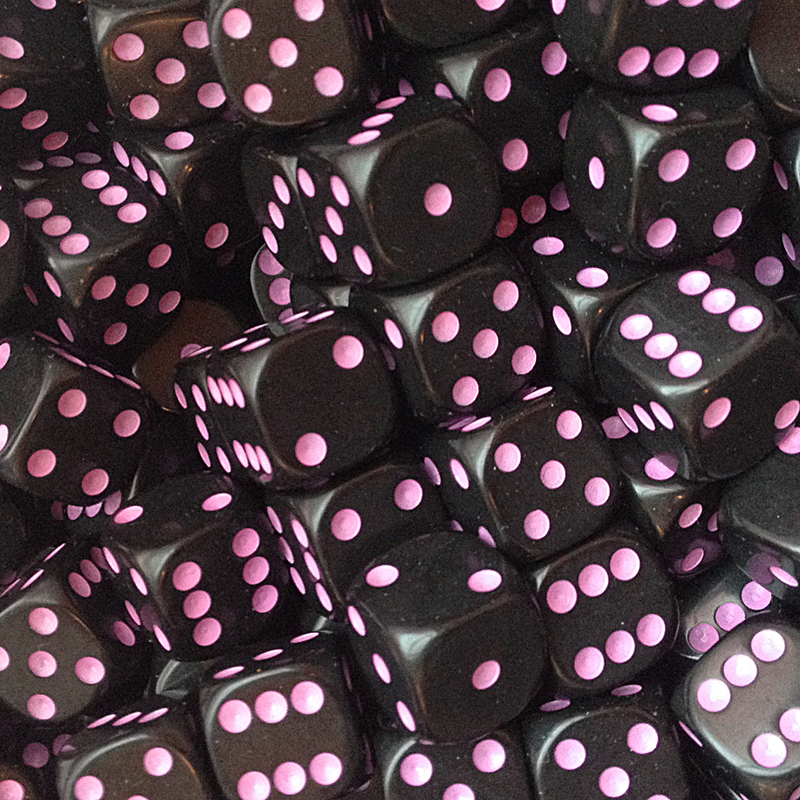 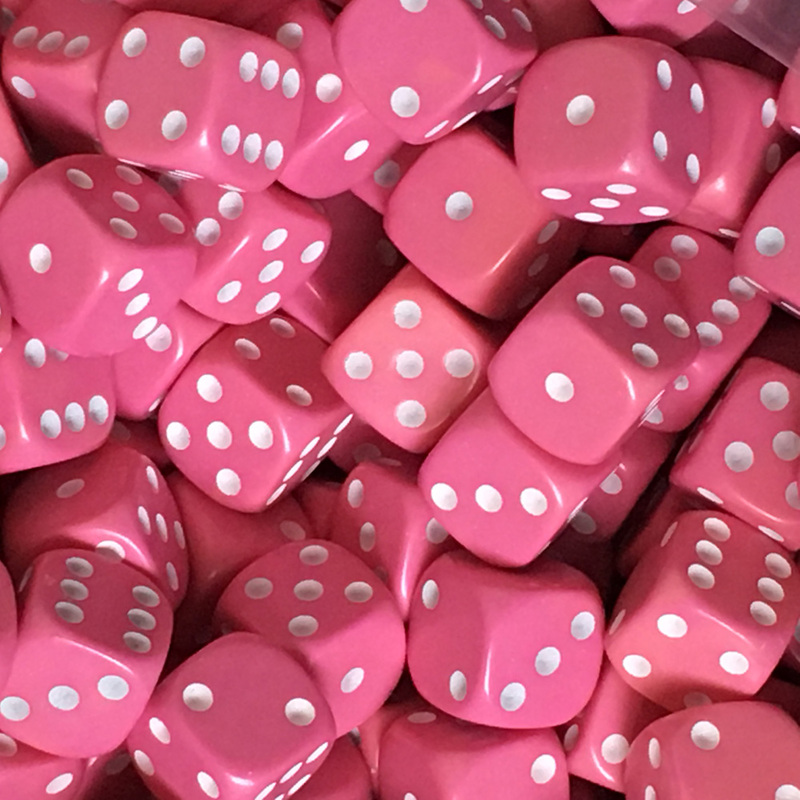 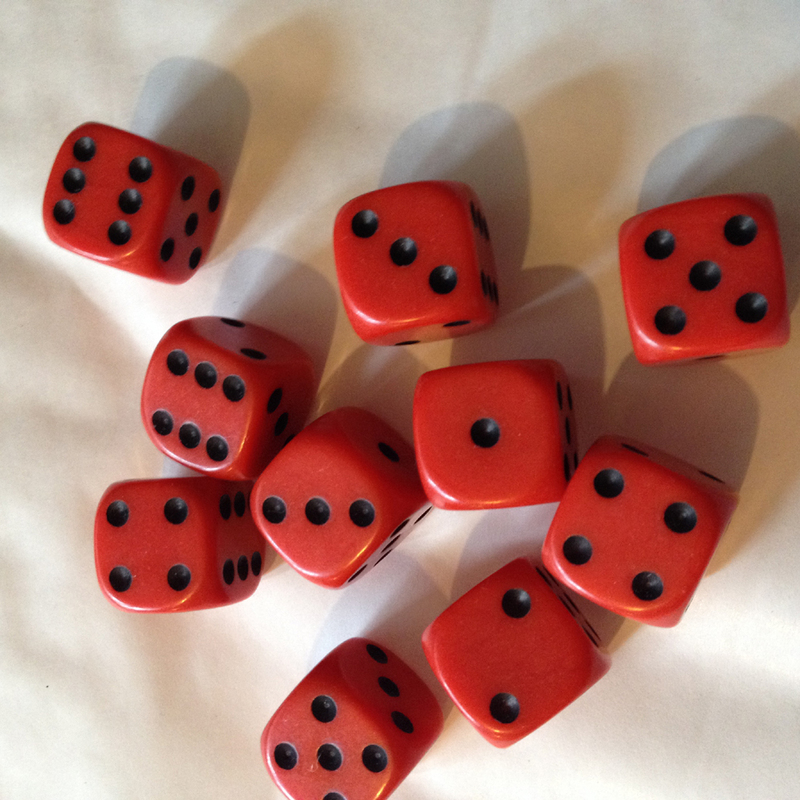 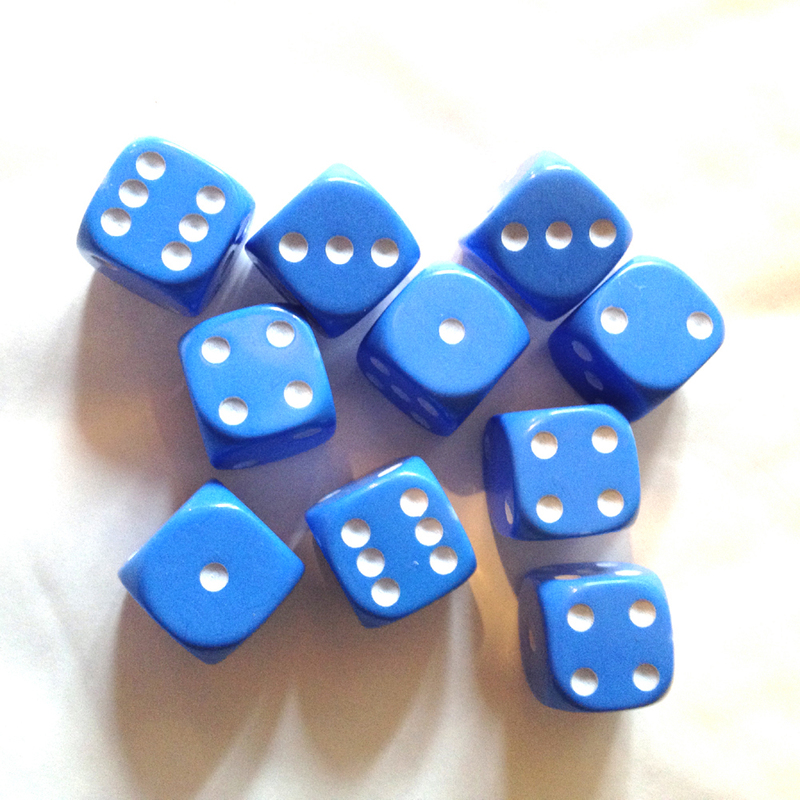 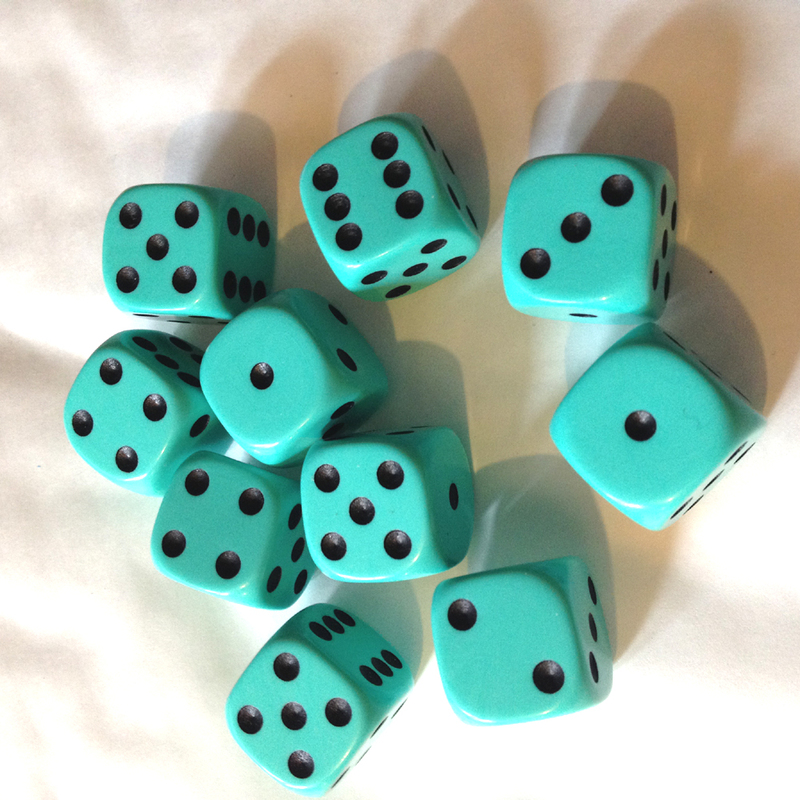 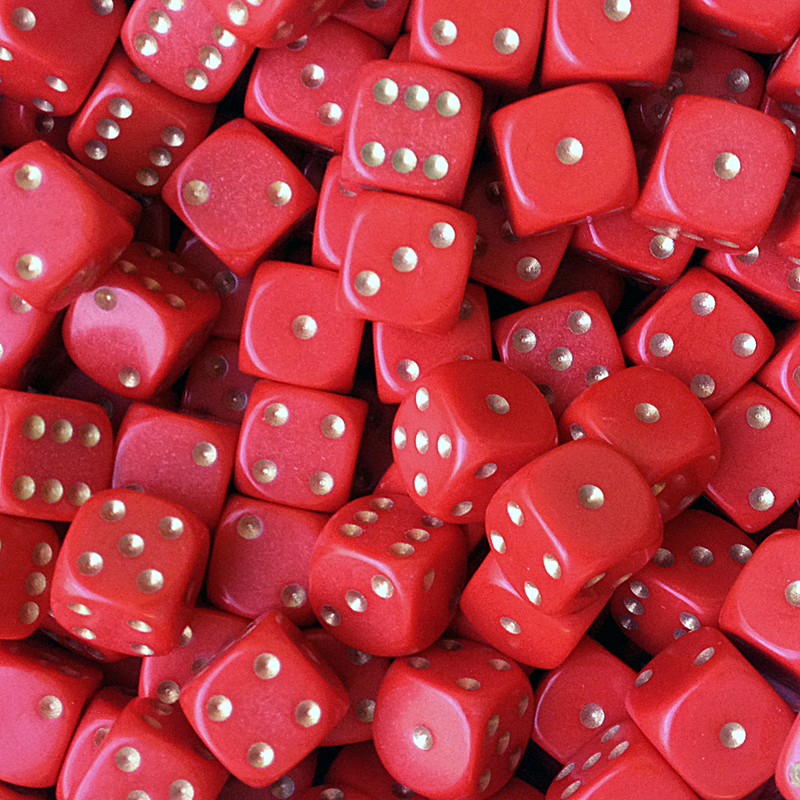 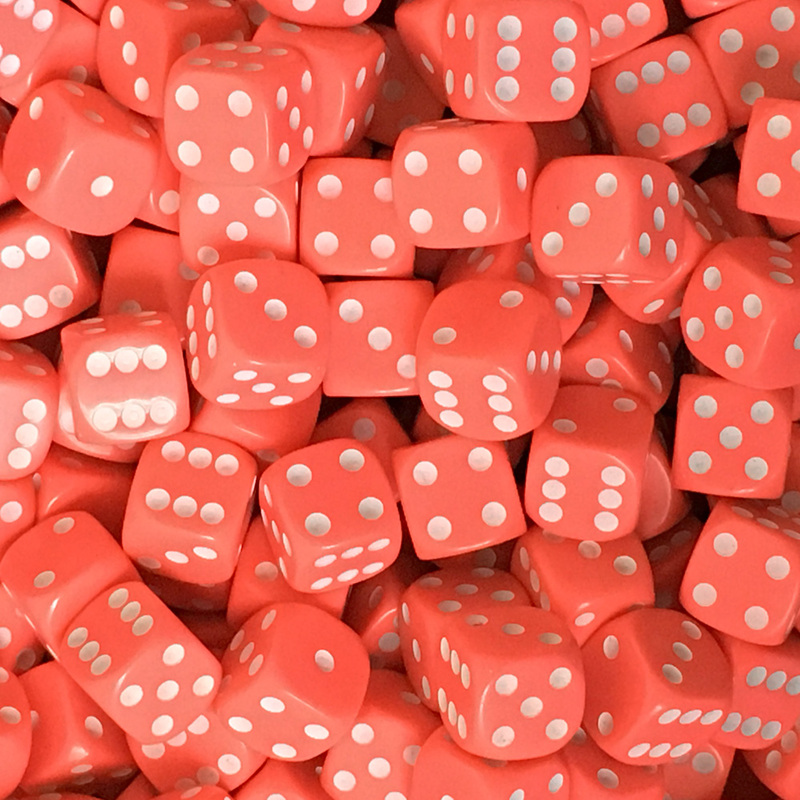 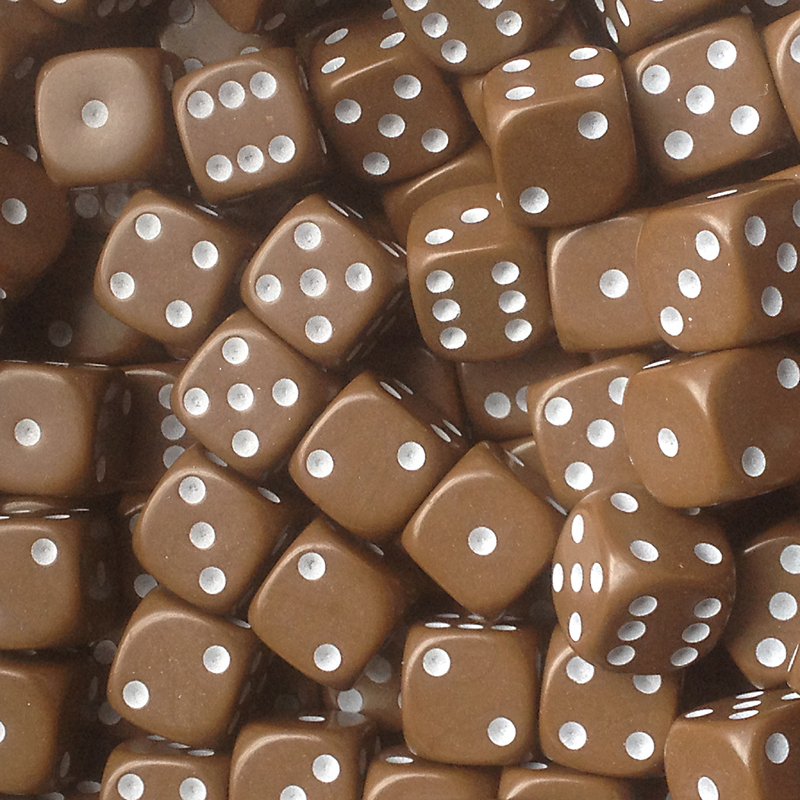 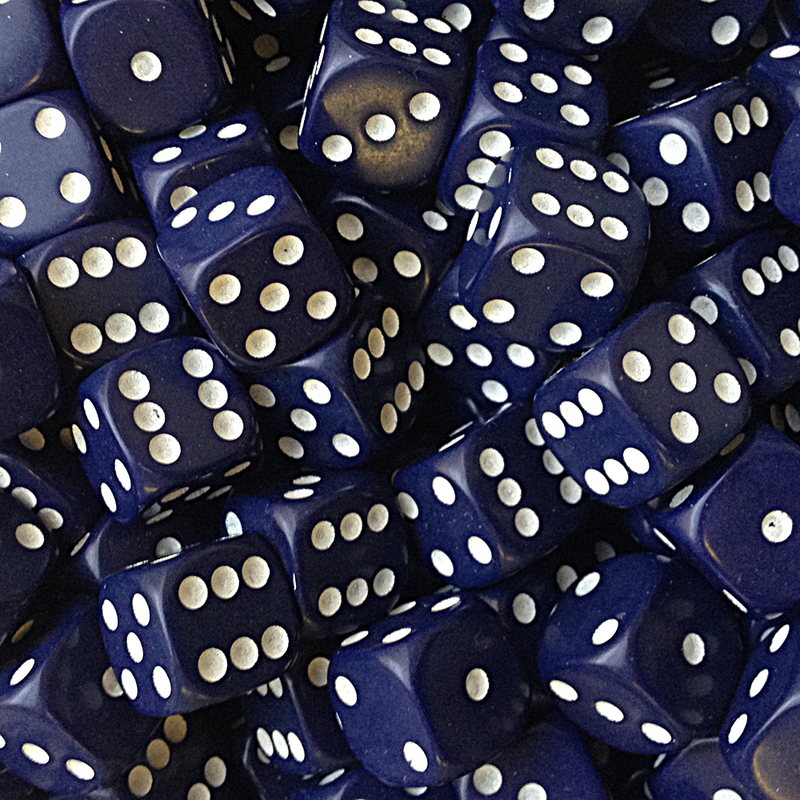 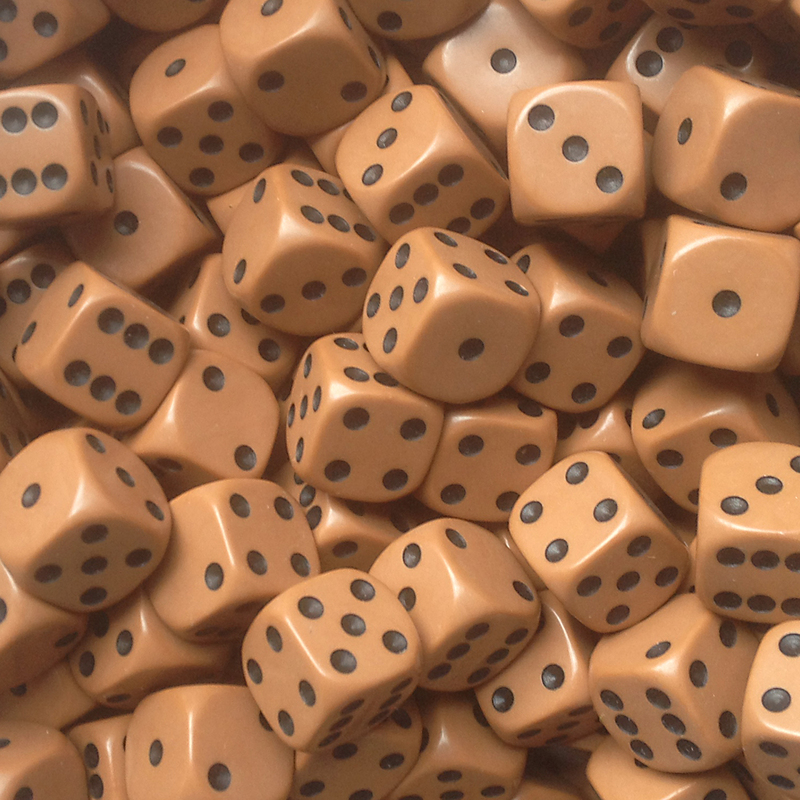 We also have spot dice in other colours, 12mm dice, 14mm dice, 22mm dice and 36mm dice. 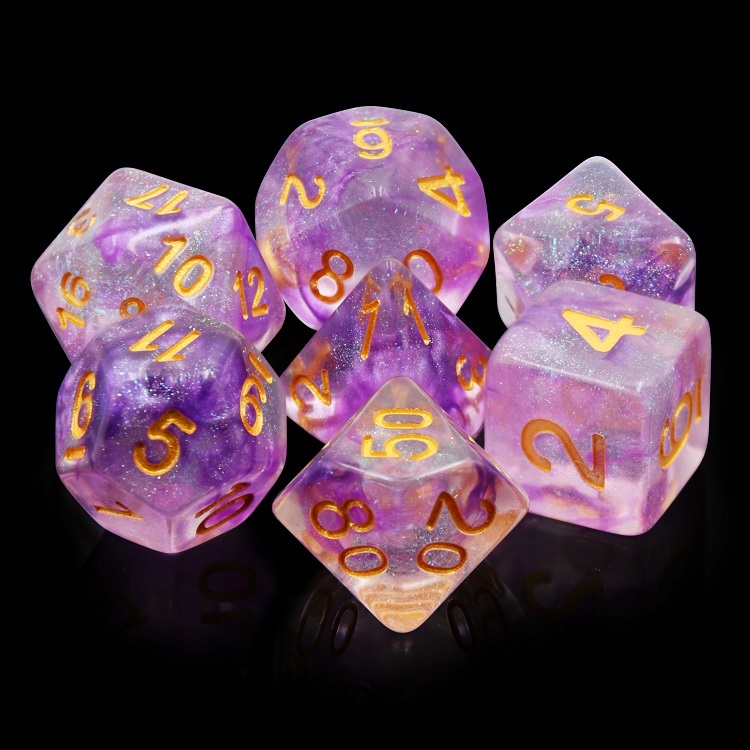 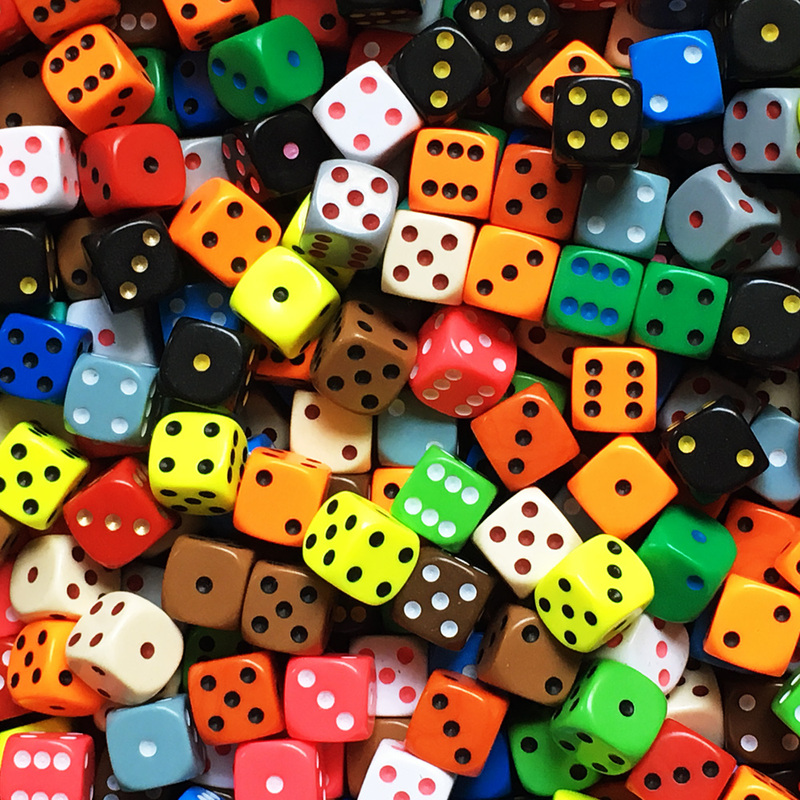 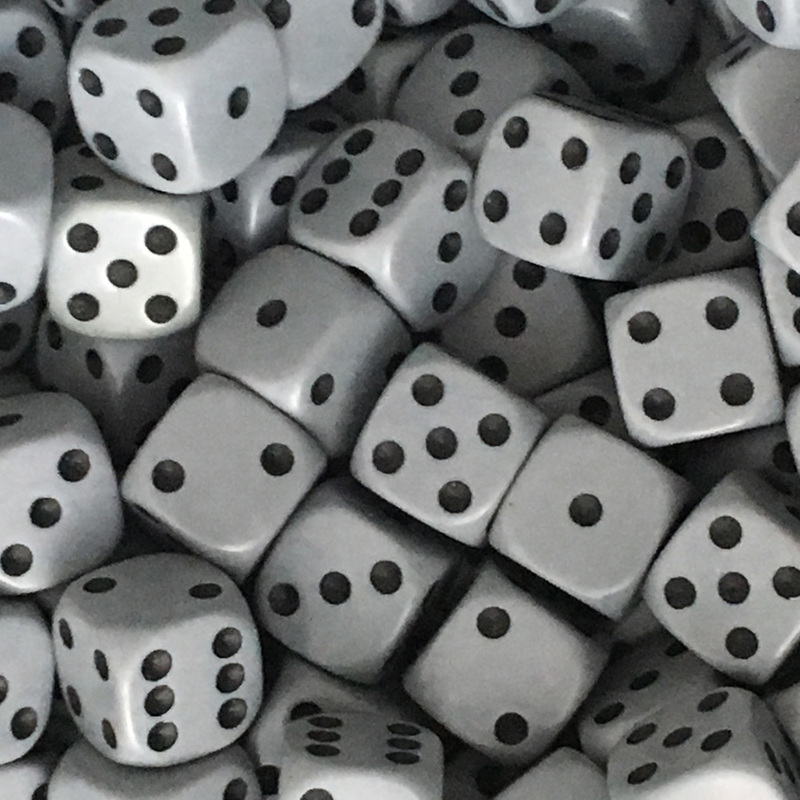 All our spot dice are normal 6 sided dice, the kind you use in boardgames and family games. 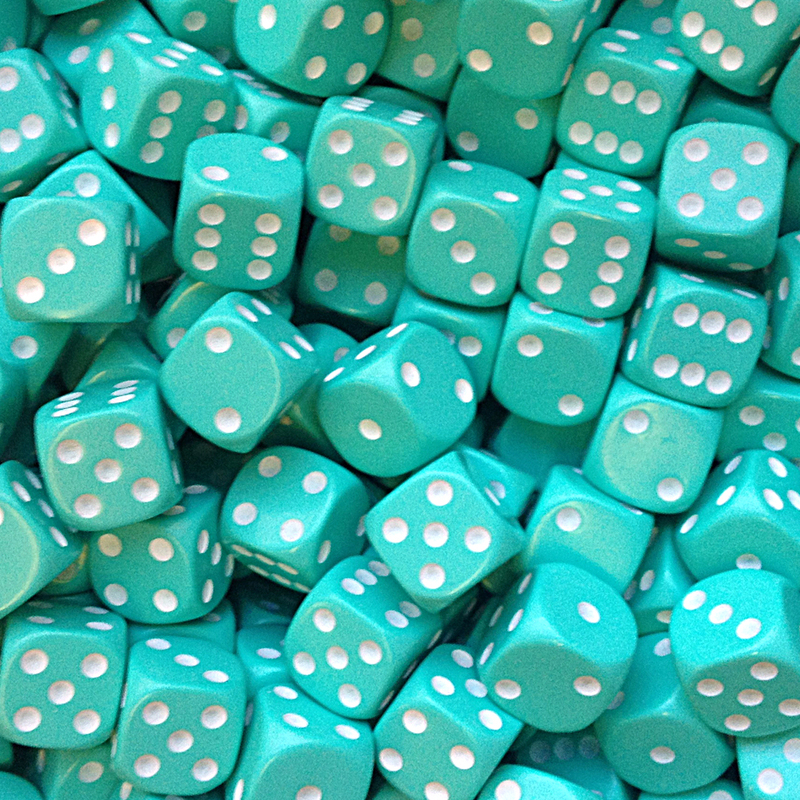 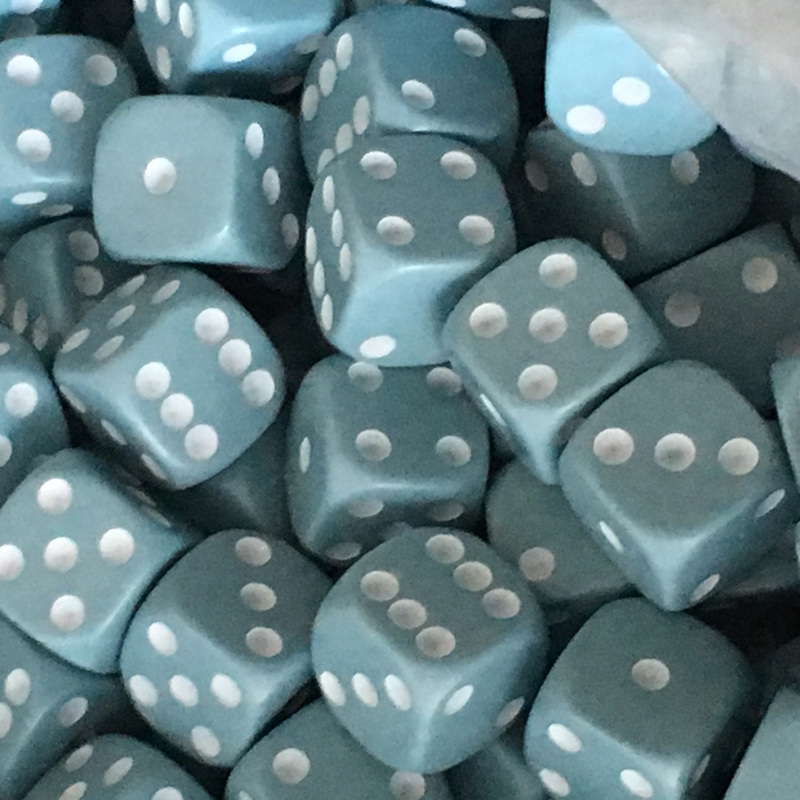 These dice are heard wearing plastic. 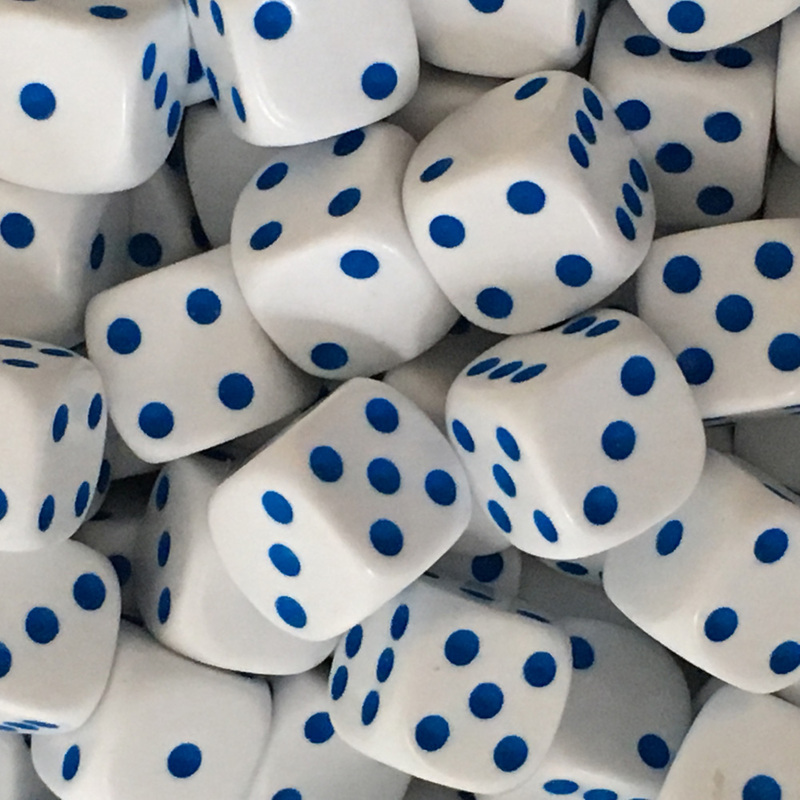 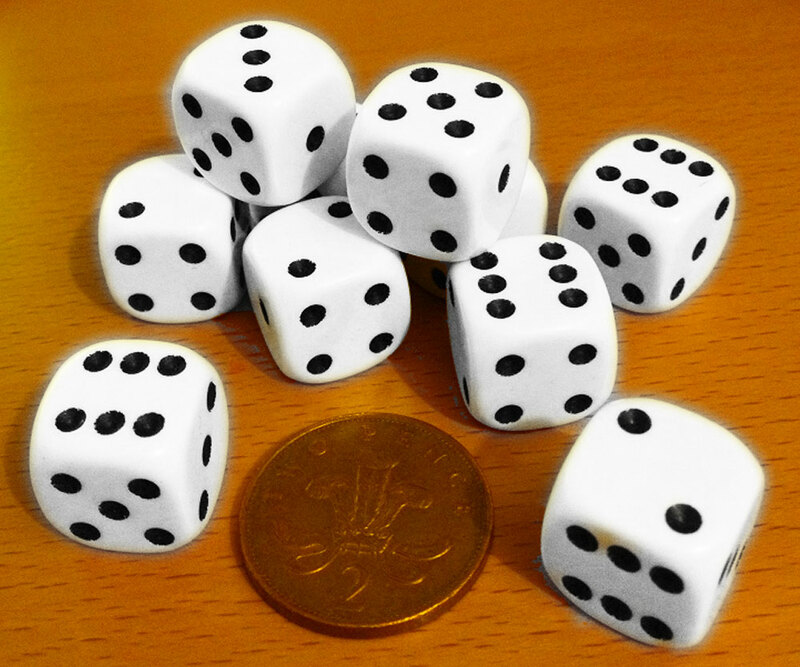 The pips on these 16mm spotted dice are indented, not just printed on. 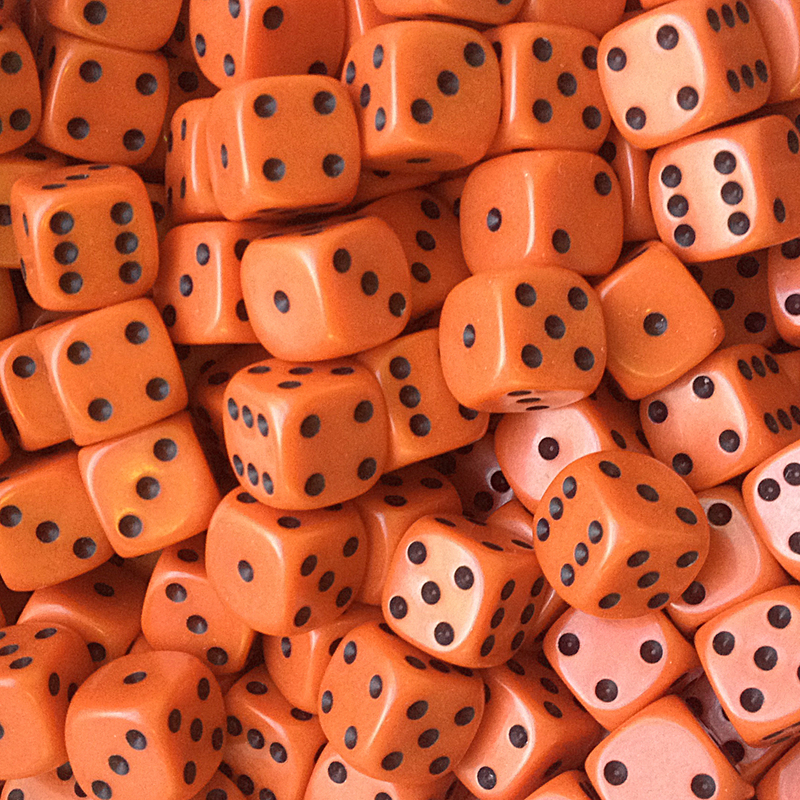 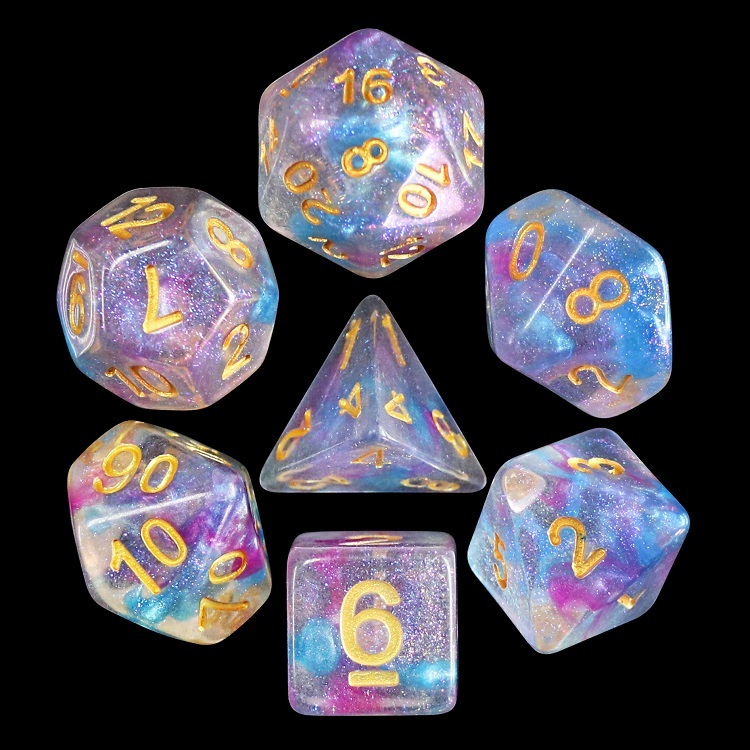 If you need supperior dice, please check the Chessex ranges for other D6 Spot dice too.